The latest Opera 11.10 alpha snapshot which got released yesterday contains changes to Opera's speed dial feature, among other improvements. 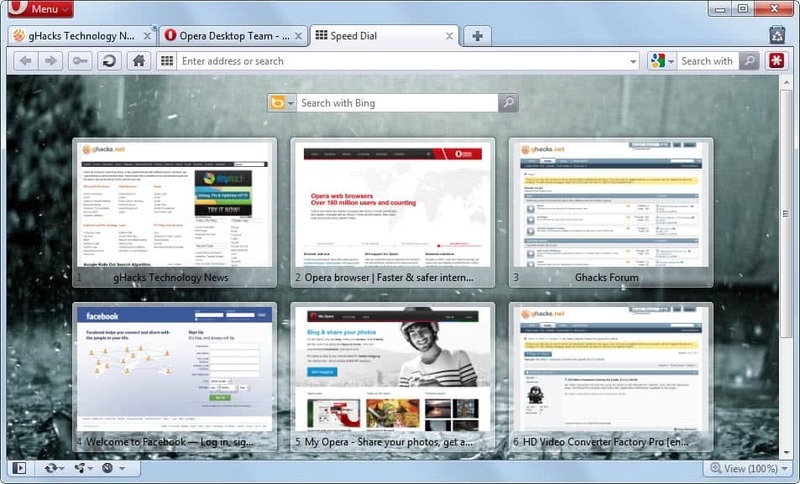 Speed Dial was first introduced in 2007 by Opera and has since found its way into other web browsers either as a built-in feature or extensions as well. Speed Dial basically displays a thumbnail list of the user's favorite websites on the new tab page. This improves the usability and accessibility as it is now possible to open those websites with a single click on the new tab page. The new and improved speed dial is "more fluid, dynamic and easier to use" says software developer Cezary Kułakowski in a blog post over at the Opera Desktop Team blog. What does he mean by that? Probably the biggest difference is that website thumbnails are now placed dynamically on the new tab page, they adjust their size and position automatically based on the open Opera window and user preferences. Opera has also done away with the hard coded website limit which means that it is now possible to display more websites on the new tab page. A scroll bar is automatically added when the size of the website thumbnails exceeds the available window space. New websites are added to Speed Dial with a click on the plus icon on the last website thumbnail on the Opera Speed Dial page. Users can add websites that they visit frequently (top ten) or open websites. An option to add sites from the bookmarks would have been handy. Users can furthermore configure Opera Speed Dial by right-clicking on the page and selecting Configure Speed Dial or Appearance. The Configure Speed Dial menu offers options to hide speed dial, change the background image to a custom one from the local computer and select the way the thumbnails are displayed on the page. 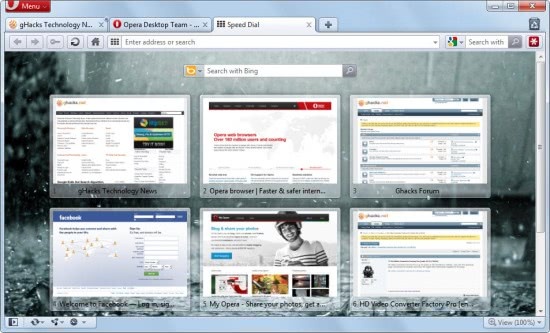 The new Opera Speed Dial will be integrated into the upcoming Opera 11.10 and future versions of the web browser. Interested users can download the latest snapshot of Opera 11.10 from the Opera Desktop Team blog posting. 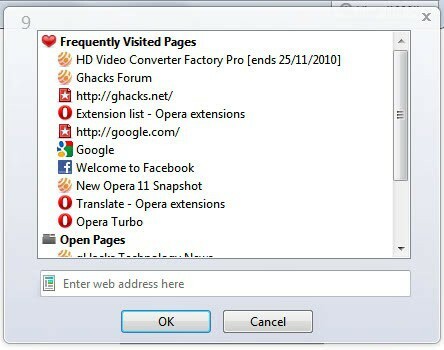 They should check the known issues first before they update existing versions of Opera. It is however possible to install the snapshot build in a different location. The snapshot of the browser is available for Windows, Mac and Linux.